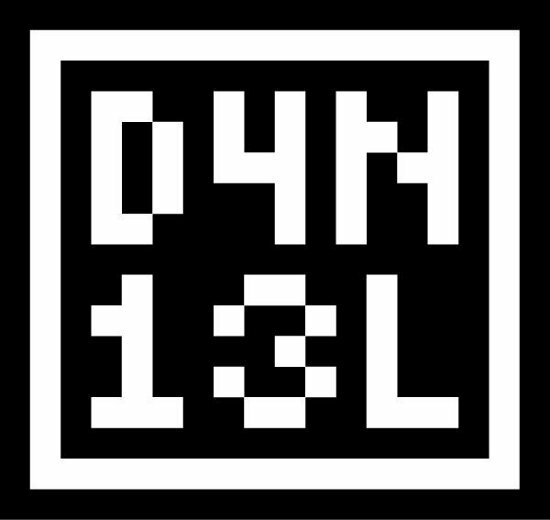 T-shirt Designers: A lot of sites don’t give credit to the designers, but this is where I feature works with a known designer. What’s your name? Your Internet handle? I’m from Cochabamba, Bolivia, South America. Born, raised and currently reside. Hi I’m Kev also known as kev_brett on twitter. I’m from a distant land filled with weird and wonderful folk – known as the UK and I currently live in the UK. I don’t tend to move about too much. 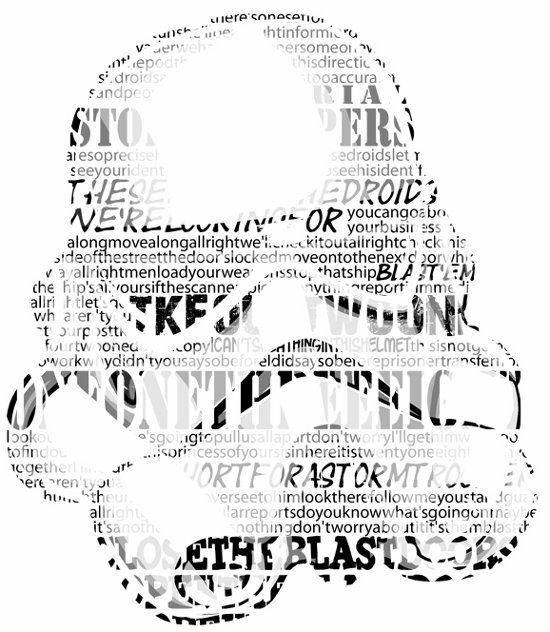 Nick and I go with Firepower on the internet in terms of my t-shirt related stuff. In actuality this is not a name attempting to be cool it’s derived from a forum about the Calgary Flames (my local/favorite hockey team; get back to work bums) I’ve been on for years. 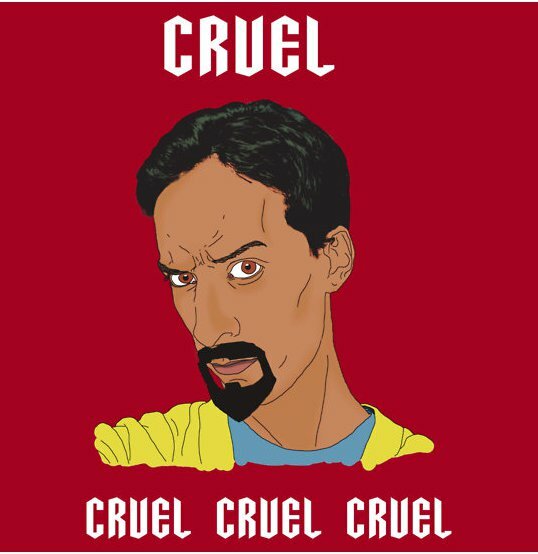 If you’re into the show Community then you probably are always stoked to see Evil Abed pop up in the storyline because he’s cruel, cruel, cruel and funny with a terrible goatee beard. 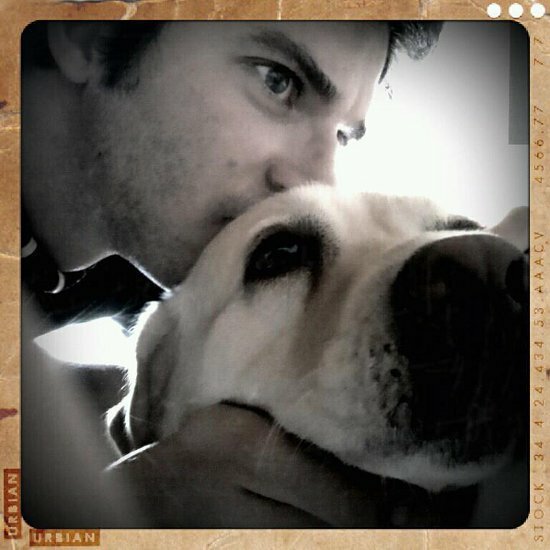 I think Blaze Byrne captures him very well. 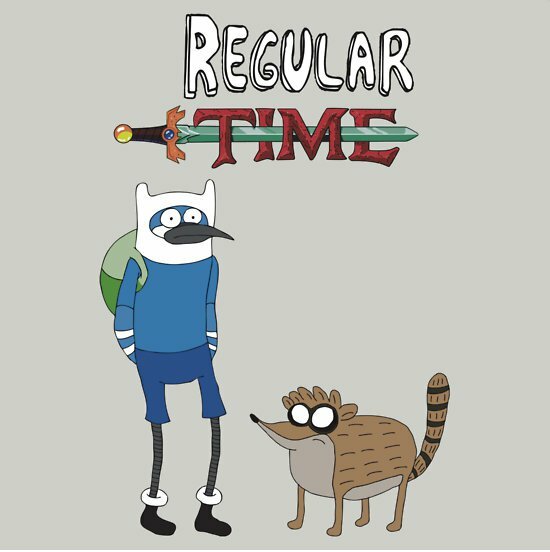 Mashup of Adventure Time and Regular Show designed by Blaze Byrne and available at Red Bubble. Here are the videos to support my theory that this is a great shirt. This is kind of funny. 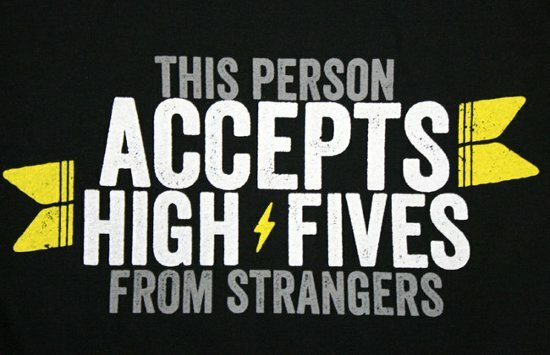 Not everyone does accept the high fives from strangers so it’s good to spell it out up front, so the high fiver feels comfortable. I mean, you never know when something awesome is going to happen and you’re going to need to high five. Sporting events are pretty obvious places to be ready to accept and give out high fives. But, what about weddings? The bride and groom might want to celebrate in this way. 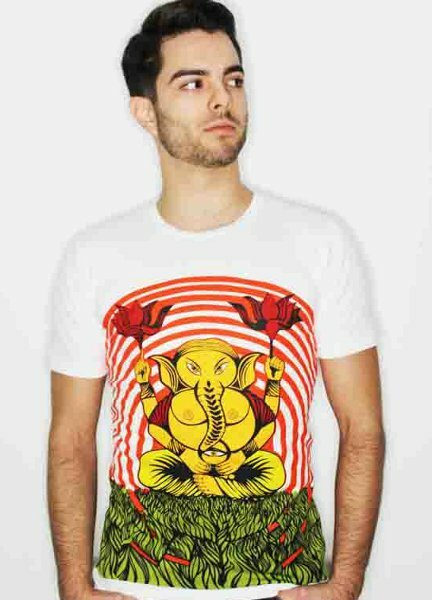 As Jamon Endiablado says in their tagline this Ganesh T Shirt is definitely wearable art. I have a great fondness for the Indian elephant god Ganesh, and he’s looking especially cool here, hanging out in the greenery, with the lotus flowers and the wonderful red lines framing him. This is more of a political statement than just a funny t shirt. 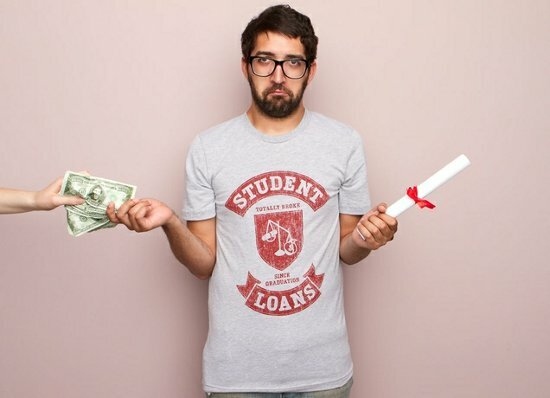 Student loans are the next big bubble to pop. The whole thing, just like the housing bubble before it, is unsustainable. Universities continue to raise the price of education, because there is loan money out there for the students, so they can pay the exhorbitant prices. Why is there loan money? Because banks know that any loans they make are back stopped by the US taxpayer. So, they make money if the loan is paid off, and if it doesn’t get paid off no problem. They have nothing to lose and encourage the higher tuition costs, because that increases the fees and interest they make. This is a good one. Love the knitted sweater look with the corny Southwest type patterns. But, then you look a little closer and gramma apparently had a sense of humor because there are rows and rows of skulls. Very nice design by Alexandra Mirzac available over at Threadless. 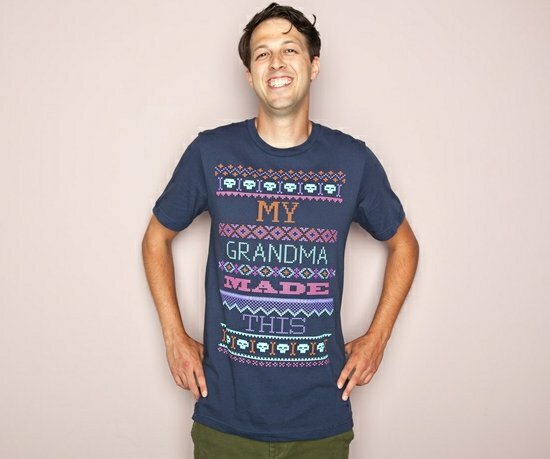 Adam de la Mare is an awesome t-shirt designer dabbling in the clever absurd. 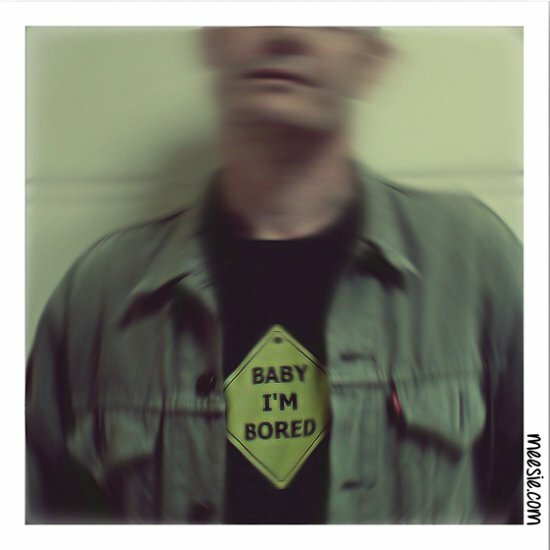 I love just about his entire catalog of shirts because his humor is just my style. Please enjoy my in depth one-on-one with the man sometimes known as Brother Adam. This is funny. 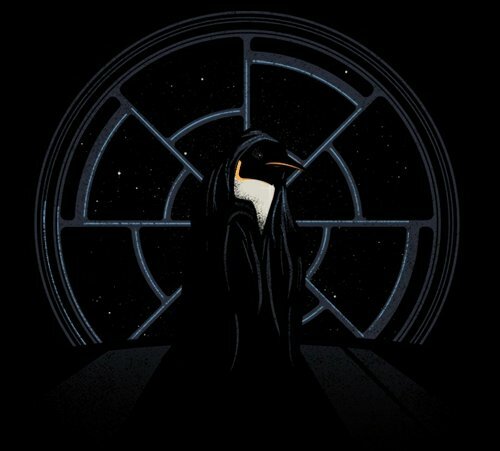 It’s so dark and mysterious just like all that emperor business in Star Wars, but then you see the orange on the beak and side of the neck (do Emperor penguins have necks) and instead of thrilling mystery, you have comedy and you laugh maniacally for at least 120 seconds straight.